By Ryan GormanIt has been revealed that ESPN seriously considered banning use of the controversial Redskins nickname from reporting. ESPN ombudsman Robert Lipsyte wrote in a column published Friday that the network considered no longer using the nickname of the Washington NFL Franchise. The consideration came as calls mount for team owner Dan Snyder to rename the team–redskin is a derogatory term used to degrade Native Americans. The internal debate was revealed in a column focusing on Miami Herald baseball writer Dan Le Batard giving his Baseball Hall of Fame vote to Deadspin. Le Batard also hosts a radio show on ESPN Radio and is a frequent on-air guest for the network. The disclosure came when Mr Lipsyte said it is against ESPN policy for its reporters to be ‘in the position of making news as well as covering it’ when discussing his reservations against baseball writers voting on hall of fame inductees. ‘That is against ESPN policy (and recently was one of the in-house arguments against banning use of the nickname of the NFL Washington franchise),’ he divulged. Alas, ESPN's rationale doesn't work. The network is making news either way: by using the derogatory name or not using it. The difference is, the mainstream media has arbitrarily decided that the status quo, using a derogatory name, isn't news. Really? Let's apply that standard to other stories. Husbands beat wives? Not news since it's always been that way. Radical Islamists hate the West? Not news since it's always been that way. Obviously these stories are newsworthy because they're an ongoing problem in the world. Same with using the "redskins" slur as a team name. The fact that many Americans are okay with denigrating Indians is an ongoing problem worth covering. And worth taking a position on by not using the name. By Ericka MellonCarol Hoskins-Burks, a 1981 graduate from Lamar High School, attends an HISD board meeting on school mascots in December. 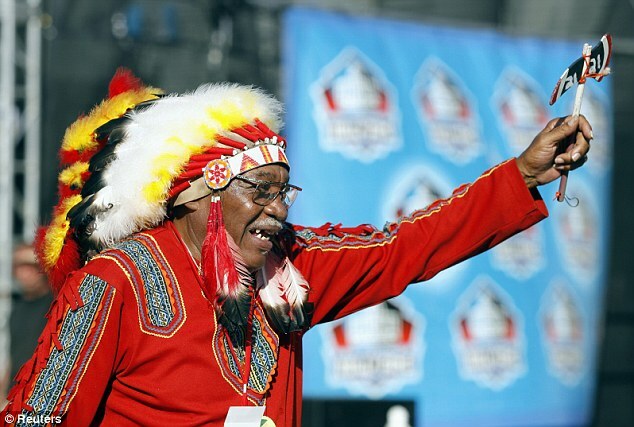 Hoskins-Burks opposes Lamar changing its mascot, which is currently called the Redskins. Four HISD campuses will have to adopt new mascots after the school board gave final approval Thursday to a policy banning certain nicknames, such as the Redskins. The proposal from Superintendent Terry Grier drew some debate among students, alumni and community members, but the change puts the school district in line with others nationwide that have retired mascots tied to Native Americans. By Robert SibleySomewhere in Ottawa a young man who goes by the name of “Corey” may soon have a police officer knocking on his door. Ever since the Nepean Redskins football club announced last week that it had changed its name to the Nepean Eagles, Ian Campeau, who had been agitating for the change, has been getting hostile reactions on his Twitter and Facebook accounts from those who liked the old name. The backlash was not unexpected, of course, but some postings this weekend went too far. On Sunday, the Ojibway native and member of the electronic group A Tribe Called Red, filed a complaint with the police. “Instead of studio time, I get to spend the day in the police station because some people like to racially discriminate against me on my private Facebook,” he said in a Facebook posting. Campeau, who filed a complaint about the club’s old name with the Human Rights Tribunal of Ontario, acknowledges he’s received “all kinds of public blowback” since the team announced its intention in September to make the name change. Some of it, he says, has been pretty nasty, name-calling, insults, racial slurs and the like. There were even intimations of violence against him and his family.Corey's comments show the racism behind much of the mascot worship. I or any activist, whether Native or not, could've lead the campaign against the Nepean Redskins. So the name change has nothing to do with Campeau's ethnicity. Yet he's receiving a slew of racist insults and threats. If you foolishly read the comments on a mascot article, you'll see the same thing. A significant minority of them, perhaps as many as half, will contain racist comments about how Indians "lost" and should "get over it." There's a huge wellspring of resentment and racism beneath America's surface.